Wow! 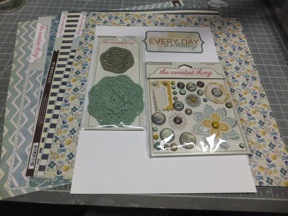 Thanks to design team member Sarinda, we have some excellent ideas to get your creativity flowing when you purchase The Sweetest Thing - Honey or The Sweetest Thing - Bluebell I Want It All Bundles by My Mind's Eye. 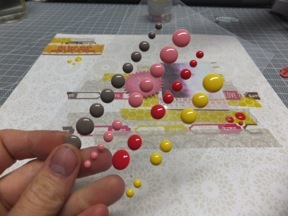 She's even provided step-by-step Tutorials so you can recreate these beauties with your own touches. 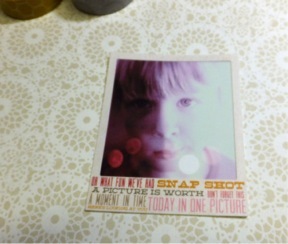 Print photo 3”x3” Take the polaroid Snap Shot sticker and place onto of your photo. 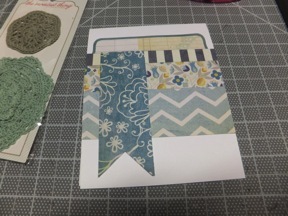 Cut off edge of doily paper. 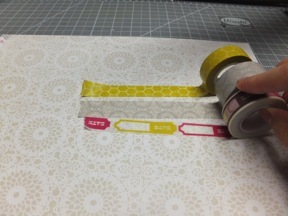 Find Decorative tape add strips about 3.5” down page and 2” from the right. Have fun with this lay some over each other. Also add some tape to the upper left corner of page. 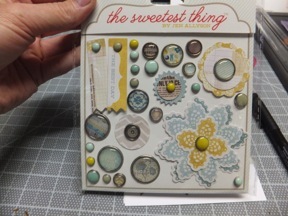 Find the circle postage sicker “I Love you You are the best thing…” and “The Best Days….” Sticker. 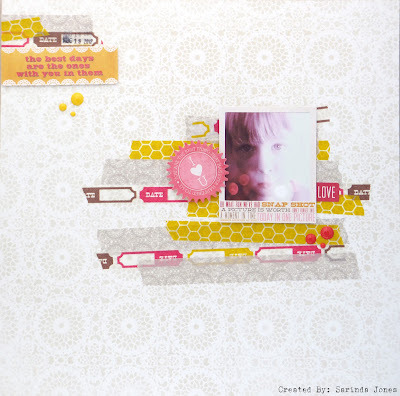 Add dimensional tape to the back of both stickers and your photo. I added two layers to the circle sicker. Place “The Best Days…” sticker on top of the tape in the far left corner of page. 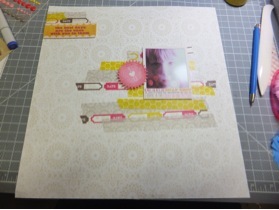 Then place “Snap Shot Photo” about 3.25” from top of page and 2.25” from the right side of page. Add the “I Love U Circle sticker to the left of photo. 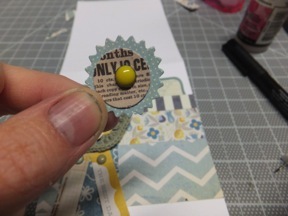 Add three yellow dots to the left side of page under “The best days…” sticker. Then add another three dark pink dots to the bottom corner of the photo. Find the “Love” Sticker and place that just under the photo to the right. Then Date stamp in the upper left corner. Congratulations you are completed. 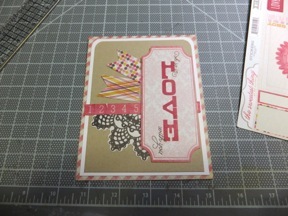 Cut Honey Love (Pink crosshatched) Paper to 4.5” x 11” and score at 5.5” for a card base of 4.5” x 5.5”. 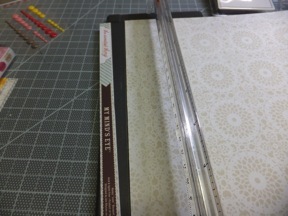 Then cut white to 4.25” x 5.25” round the top two corners with corner punch. 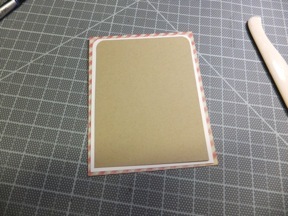 Cut Kraft paper to 4” x 5” also round the top two corners with corner punch. 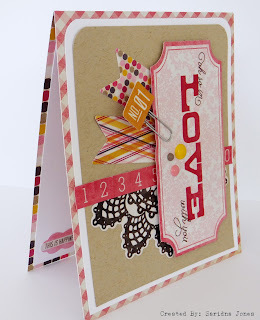 Glue the white cardstock to card base and then the Kraft cardstock to the white. Find stickers and locate the doily sticker. 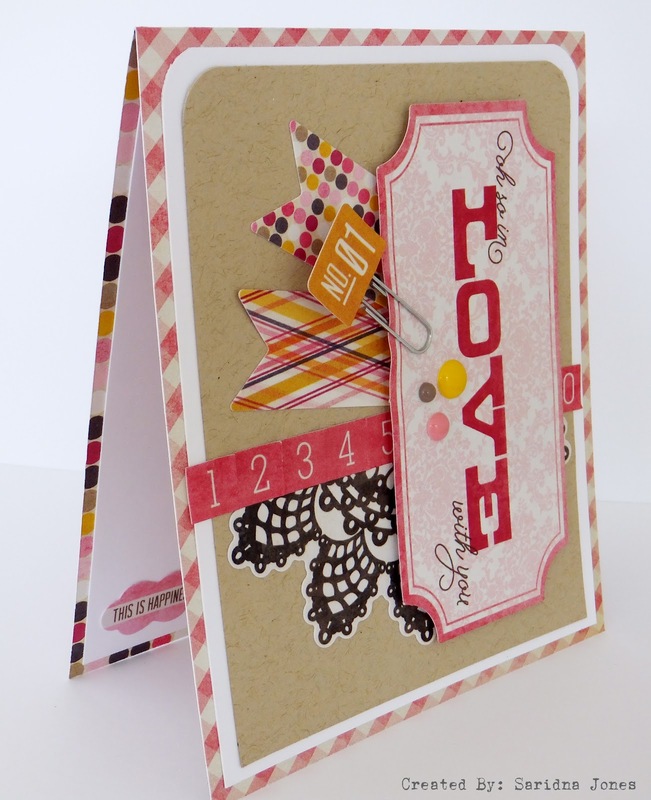 Adhere to the bottom ¾ of the card base. 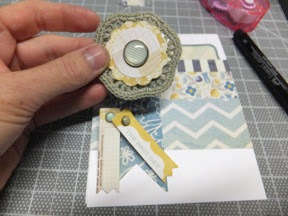 Also find the number stickers add these right above and flush with the doily sticker. 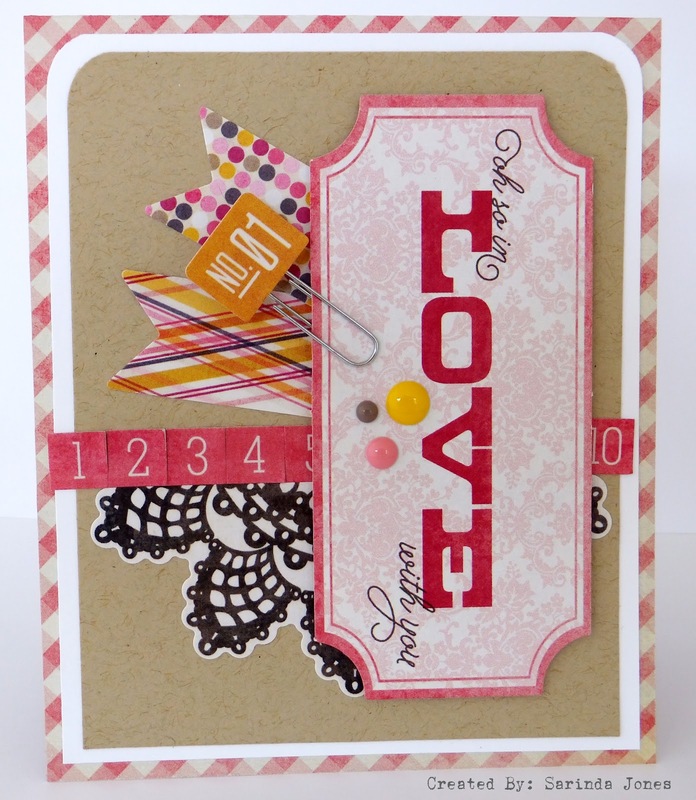 Locate the two banners stickers place them above the number stickers to the left side of card base. Locate the “Oh so in love with you” title ticket. 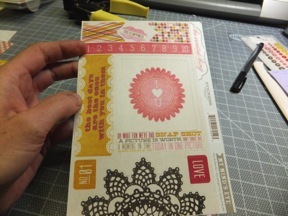 Add dimentional tape to the back and add to the upper right side of tag. 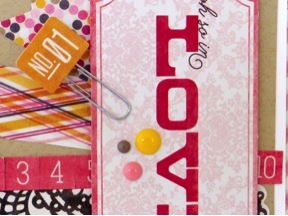 Find the No.1 Sticker and using Glossy Accents glue to the top of the paper clip. 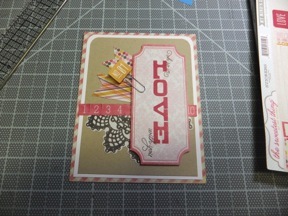 Clip to the left side of the Love ticket. 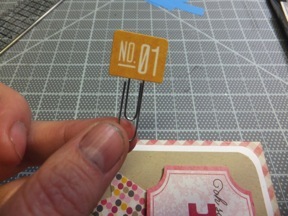 Add the Medium yellow dot, small pink dot and extra small tan dot just below where the No.1 paper clip is attached to the Love tag. 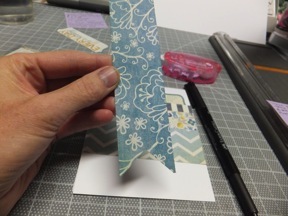 Find leftover white card stock should be 4.25”x 5.25” cut the top two corners with corner punch. 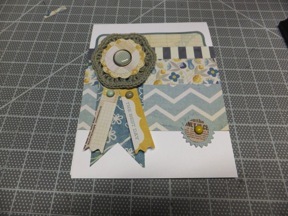 Adhere to the inside of the card base. 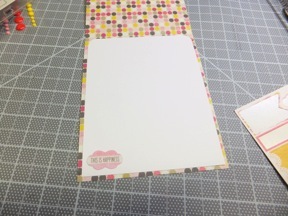 Find the “This is happiness sticker” add to the bottom left corner of the white inside cardstock. Congrats…. 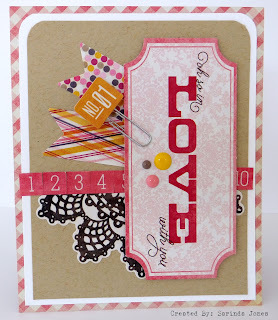 You have a just made a cute card. 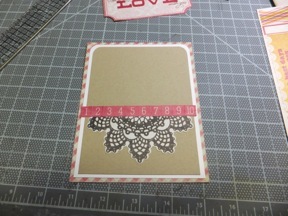 Adhere to front of white cardstock base starting at 1.25” from the top. Find “Everyday is a Blessing” title. Cut off the top portion of the title card, just showing the ledger print. 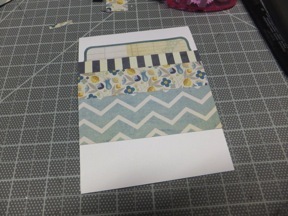 Adhere above the stripe pattern paper. 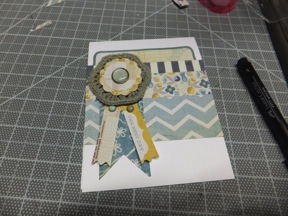 Find the extra blue chevron paper, flip it over. Now you have the blue floral showing. Snip and upside down V to form a banner flag and 4” long. 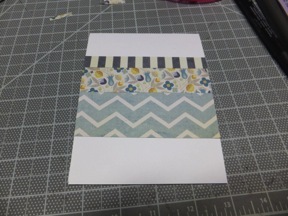 Adhere it on the left side of card about .50” from left edge and flush with top of strip pattern paper. Find Brad set. We will be using the two banners on the left and the yellow scalloped circle on the right. Also get out the Doily set. 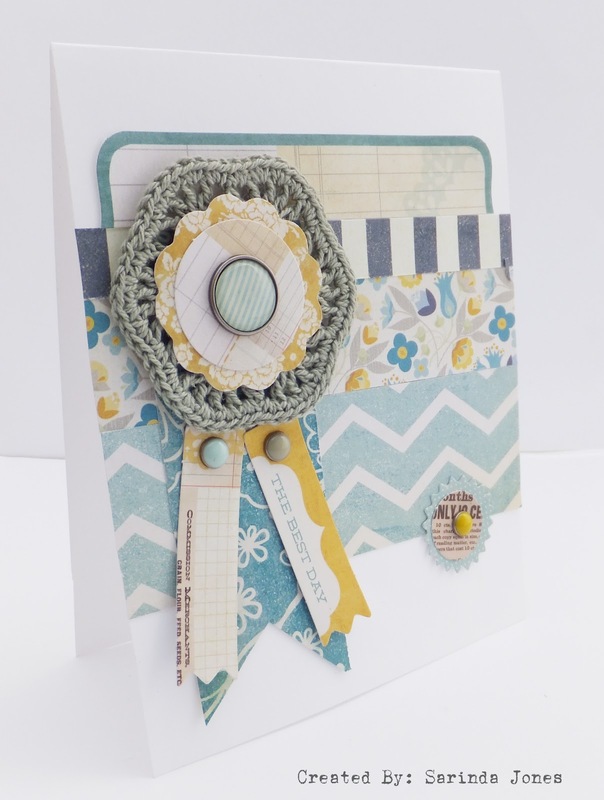 Put the Scalloped circle into the tan doily, then using Glossy Accents add the doily just below the ledger paper at the top of the card. Then the two banners will go just below the Doily. Find the brad with the blue polka dots and newsprint. Add this to the right side of card center with the chevron paper. You have just completed your card.